A trademark is an essential part of a brand, helping to distinguish a business’s unique products and services from what another business offers. It can be a word, slogan, logo, symbol, design or even a sound. The following six steps from the United States Patent and Trademark Office (USPTO) provide a useful guideline on what to consider before registering a trademark and during the application process. Have an invention? Make sure to protect that too. 1. Determine whether a trademark is even appropriate for you. Trademarks, patents, copyrights, domain names, and business name registrations all differ. A trademark typically protects brand names and logos used on goods and services. You must be able to identify these goods and services specifically. A trademark, for example, does not cover a general idea. 2. Select a mark using great care. Before filing a trademark/service mark application, you should consider (1) whether the mark you want to register meets the guidelines for registration, and (2) how difficult it will be to protect your mark based on the strength of the mark selected. 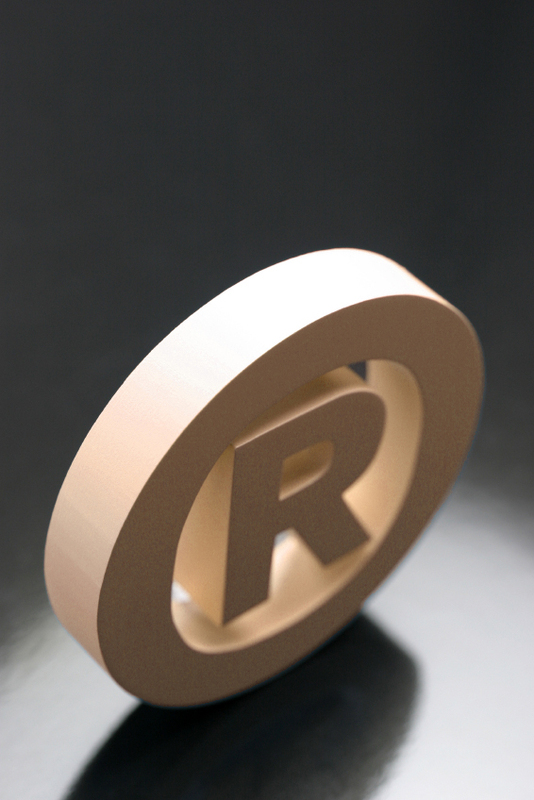 Note that the USPTO only registers marks, and the mark owner is solely responsible for enforcement. 3. Always search the USPTO database to determine whether anyone is already claiming trademark rights in wording/design that is similar and used on related goods/services through a federal registration. 4. File the application online through the Trademark Electronic Application System (TEAS). View trademark fee information. REMINDERS: (1) The application fee is a processing fee that is not refunded, even if the USPTO does not ultimately issue a registration certificate, and not all applications result in registrations; and (2) All information you submit to the USPTO at any point in the application and/or registration process will become public record, including your name, phone number, e-mail address, and street address. 5. Because all of the above are very important, you should consider whether to hire a trademark attorney to help you with these steps, as well as the overall application process. 6. Throughout the entire process, you should monitor the progress of your application through the Trademark Status and Document Retrieval (TSDR) system. It is important to check the status of your application every 3-4 months after the initial filing of the application, because otherwise you may miss a filing deadline. For more information on trademarks and to access a variety of helpful resources, including instructional how-to videos, visit the USPTO website.